Amazon’s revolutionary approach to deliveries has one-upped itself by solving the long-standing issue of drone landings messing up your goods. 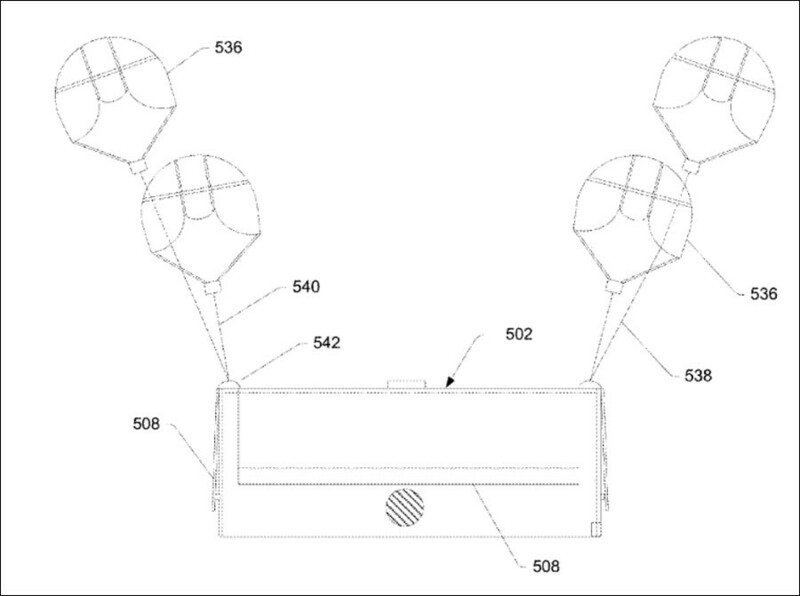 The company now wants to patent dropping your parcels by parachute. The announcement follows the US Patent and Trademark Office on Tuesday granting the company the patent, according to CNN. This comes at a time when the fabled drone deliveries haven’t actually kicked off yet. The online retail giant has lauded its drone program in demo videos, but the company continues to test how best to land the goods without damaging the contents of the boxes. 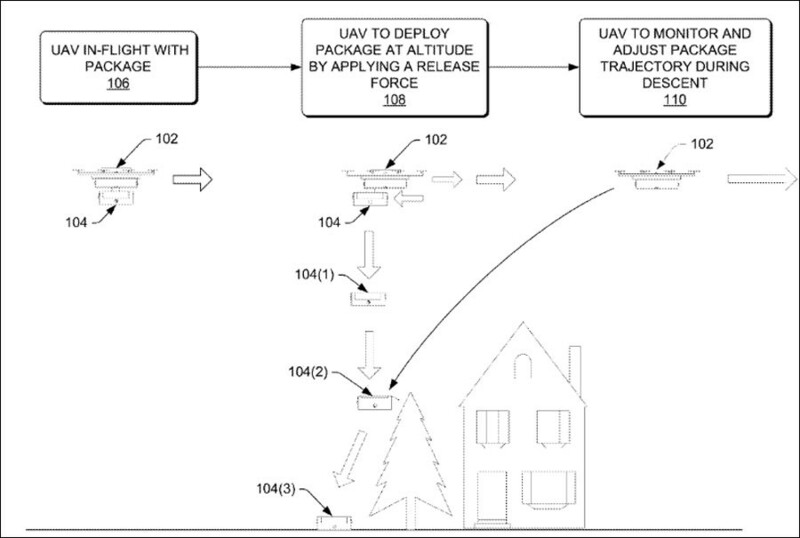 This is the latest patent in a series of permissions Amazon is securing for its drone delivery program. However, the idea has more going for it – an ordinary parachute wouldn’t do, considering the forces of nature. And that’s where the second part of the patent comes in. Apparently, if a strong gust of wind sends your parcel off-course, the actual drone – which will be hovering next to the descending parcel the entire time – will implement computer navigation tricks to steer it back on course. There are several tricks up its sleeve, including sending out bursts of compressed air or deploying flaps. Other aspects to the patent number 9,567,081 include various parts like magnets and spring coils, which will be involved in deploying the parachute. “A package delivery system can be implemented to forcefully propel a package from an unmanned aerial vehicle (UAV), while the UAV is in motion,” the abstract reads. “The UAV can apply a force onto the package that alters its descent trajectory from a parabolic path to a vertical descent path. 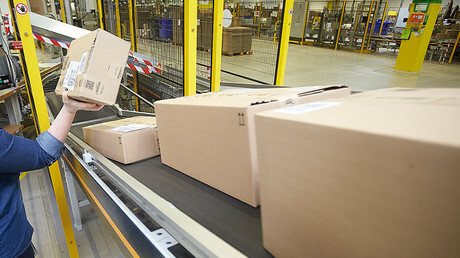 The package delivery system can apply the force onto the package in a number of different ways. For example, pneumatic actuators, electromagnets, spring coils, and parachutes can generate the force that establishes the vertical descent path of the package. The idea with the parachute serves several purposes: not only will it avoid breaking your stuff, it also means much less energy will be spent on deliveries – drone landings are more costly. Furthermore, there’s still a number of hazards associated with the small craft, including collisions with trees, roofing and curious pets. All of this is well and good, but there’s still no timeframe on when these patents might be implemented – either the drone or the chute one. The problem isn’t getting it to work, but getting the law on its side: the United States does not currently allow automated drones to fly around without human piloting. Amazon isn’t the only player on the market that wants the technology to take off – others are in the race, often with successful test trials. And unlike with Amazon’s reportedly unstable drones, a company called Flirteye last year successfully managed a trial drop of 77 packages in Reno, Nevada. The trial was successful, but a human was behind the joystick. 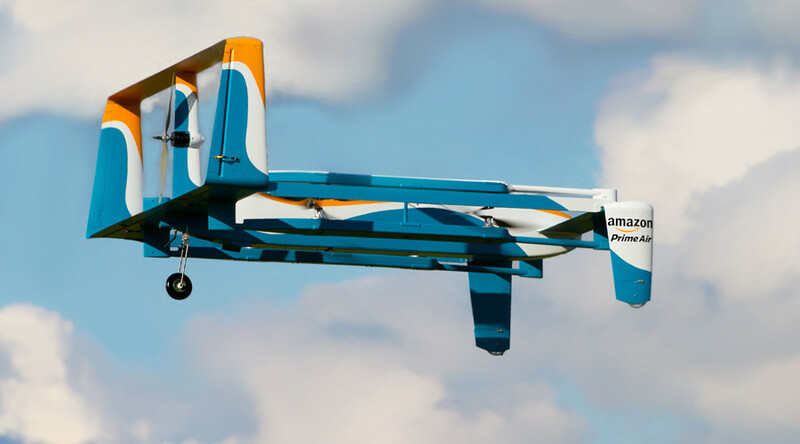 Amazon first announced plans to develop drone deliveries back in 2013, with CEO Jeff Bezos giving an approximate timeline of five years, so we might have to wait another year, or at least until regulations catch up.